Known as the Mother City, Cape Town is one of the most beautiful cities in the world and has many unique attractions for the visitor. Cape Town is known as the 'Mother City' and is one of the most beautiful cities in the world. Set on the southern-most coast in the Western Cape of South Africa, the city also has a number of unusual and unique attractions for her visitors. Visit the colourful Bo-Kaap, the former Malay Quarter which housed slaves brought to the country by the Dutch. Explore an abandoned water park, taken over by the shifting sands. Find a piece of the Berlin Wall in an unusual location or have high tea where Queen Elizabeth II and Winston Churchill have been before. Spend time at the Victoria and Alfred Waterfront, where there is plenty to see and do. Enjoy this virtual trip to Cape Town! 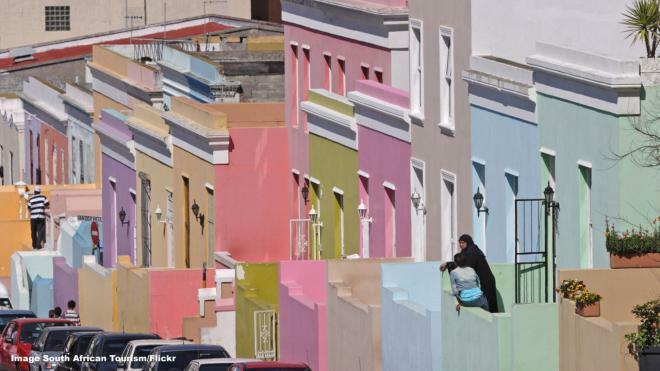 Set at the foot of Signal Hill, Bo-Kaap is home to the Cape’s Muslim community. It was formerly known as the Malay Quarter. The origins date back to the 16th and 17th centuries when Dutch occupiers of South Africa brought thousands of people as slaves from Malaysia, other African countries and Indonesia. Their descendants were then segregated under South Africa’s apartheid law in the Bo-Kaap. They still make this beautiful, colourful neighbourhood their own. 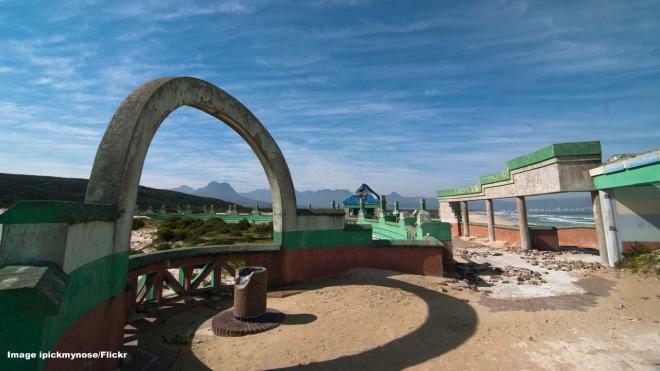 Built in 1991, Macassar Beach Pavillion on the False Bay coast was a popular spot for families living in the Cape Flats. After its operators went broke, the water park was abandoned to the shifting sand dunes and the Cape’s famous South-Easter wind. Now the water park is abandoned, with sand taking over its buildings and slides. Remains of the colourful changing rooms and concession stands can still be seen today. As noted by Culture Trip, many Capetonians are not even aware of its existence.